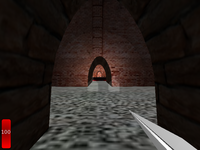 Extensions introduced in Castle Game Engine related to navigation. See also documentaton of supported nodes of the Navigation component and X3D specification of the Navigation component. To every viewpoint node (this applies to all viewpoints usable in our engine, including all X3DViewpointNode descendants, like Viewpoint and OrthoViewpoint, and even to VRML 1.0 PerspectiveCamera and OrthographicCamera) we add output events that provide you with current camera matrix. One use for such matrices is to route them to your GLSL shaders (as uniform variables), and use inside the shaders to transform between world and camera space. "cameraMatrix" transforms from world-space (global 3D space that we most often think within) to camera-space (aka eye-space; when thinking within this space, you know then that the camera position is at (0, 0, 0), looking along -Z, with up in +Y). It takes care of both the camera position and orientation, so it's 4x4 matrix. "cameraInverseMatrix" is simply the inverse of this matrix, so it transforms from camera-space back to world-space. "cameraRotationMatrix" again transforms from world-space to camera-space, but now it only takes care of camera rotations, disregarding camera position. As such, it fits within a 3x3 matrix (9 floats), so it's smaller than full cameraMatrix (4x4, 16 floats). "cameraRotationInverseMatrix" is simply it's inverse. Ideal to transform directions between world- and camera-space in shaders. "cameraMatrixSendAlsoOnOffscreenRendering" controls when the four output events above are generated. The default (FALSE) behavior is that they are generated only for camera that corresponds to the actual viewpoint, that is: for the camera settings used when rendering scene to the screen. The value TRUE causes the output matrix events to be generated also for temporary camera settings used for off-screen rendering (used when generating textures for GeneratedCubeMapTexture, GeneratedShadowMap, RenderedTexture). This is a little dirty, as cameras used for off-screen rendering do not (usually) have any relation to actual viewpoint (for example, for GeneratedCubeMapTexture, camera is positioned in the middle of the shape using the cube map). But this can be useful: when you route these events straight to the shaders, you usually need in shaders "actual camera" (which is not necessarily current viewpoint camera) matrices. These events are usually generated only by the currently bound viewpoint node. The only exception is when you use RenderedTexture and set something in RenderedTexture.viewpoint: in this case, RenderedTexture.viewpoint will generate appropriate events (as long as you set cameraMatrixSendAlsoOnOffscreenRendering to TRUE). Conceptually, RenderedTexture.viewpoint is temporarily bound (although it doesn't send isBound/bindTime events). The standard Viewpoint.fieldOfView by default specifies a minimum field of view. It will either be the horizontal field of view, or vertical field of view — depending on the current aspect ratio (whether your window is taller or wider). Usually, this smart behavior is useful. However, sometimes you really need to explicitly specify a vertical field of view. In this case, you can set fieldOfViewForceVertical to TRUE. Now the Viewpoint.fieldOfView is interpreted differently: it's always a vertical field of view. The horizontal field of view will always be adjusted to follow aspect ratio. "Head bobbing" is the effect of camera moving slightly up and down when you walk on the ground (when gravity works). This simulates our normal human vision — we can't usually keep our head at the exact same height above the ground when walking or running :) By default our engine does head bobbing (remember, only when gravity works; that is when the navigation mode is WALK). This is common in FPS games. Using the extensions below you can tune (or even turn off) the head bobbing behavior. For this we add new fields to the KambiNavigationInfo node (introduced in the previous section, can be simply used instead of the standard NavigationInfo). Intuitively, headBobbing is the intensity of the whole effect (0 = no head bobbing) and headBobbingTime determines the time of a one step of a walking human. You can configure the appearance of headlight by the headlightNode field of KambiNavigationInfo node. KambiNavigationInfo is just a replacement of standard NavigationInfo, adding some extensions specific to our engine. 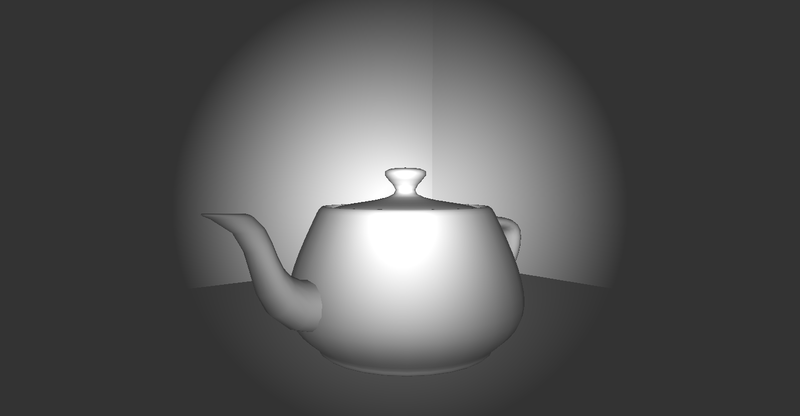 headlightNode defines the type and properties of the light following the avatar ("head light"). You can put any valid X3D light node here. If you don't give anything here (but still request the headlight by NavigationInfo.headlight = TRUE, which is the default) then the default DirectionalLight will be used for headlight. Almost everything (with the exceptions listed below) works as usual for all the light sources. Changing colors and intensity obviously work. Changing the light type, including making it a spot light or a point light, also works. Note that for nice spot headlights, you will usually want to enable per-pixel lighting on everything by View->Shaders->Enable For Everything. Otherwise the ugliness of default fixed-function Gouraud shading will be visible in case of spot lights (you will see how the spot shape "crawls" on the triangles, instead of staying in a nice circle). So to see the spot light cone perfectly, and also to see SpotLight.beamWidth perfectly, enable per-pixel shader lighting. Note that instead of setting headlight to spot, you may also consider cheating: you can create a screen effect that simulates the headlight. See view3dscene "Screen Effects -> Headlight" for demo, and screen effects documentation for ways to create this yourself. This is an entirely different beast, more cheating but also potentially more efficient (for starters, you don't have to use per-pixel lighting on everything to make it nicely round). Your specified "location" of the light (if you put here PointLight or SpotLight) will be ignored. 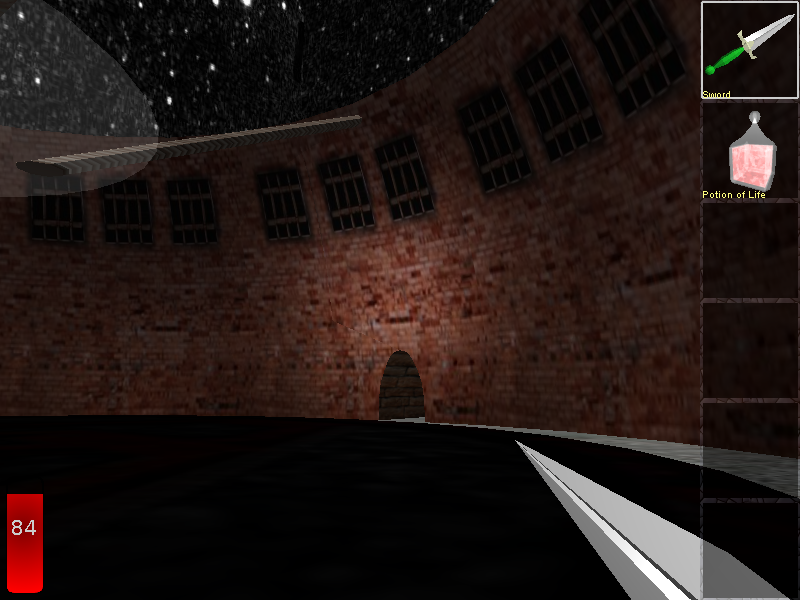 Instead we will synchronize light location in each frame to the player's location (in world coordinates). You can ROUTE your light's location to something, to see it changing. Similarly, your specified "direction" of the light (if this is DirectionalLight or SpotLight) will be ignored. Instead we will keep it synchronized with the player's normalized direction (in world coordinates). You can ROUTE this direction to see it changing. The "global" field doesn't matter. Headlight always shines on everything, ignoring normal VRML/X3D light scope rules. Values other than "DEFAULT" force specific blending sort treatment when rendering, which is useful since some scenes sometimes have specific requirements to be rendered sensibly. See TBlendingSort. 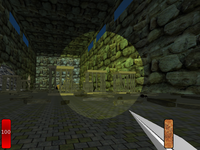 Like most 3D engines, Castle Game Engine uses a smart tree structure to handle collision detection in arbitrary 3D worlds. The structure used in our engine is the octree, with a couple of special twists to handle dynamic scenes. See documentation chapter "octrees" for more explanation. There are some limits that determine how fast the octree is constructed, how much memory does it use, and how fast can it answer collision queries. While our programs have sensible and tested defaults hard-coded, it may be useful (or just interesting for programmers) to test other limits — this is what this extension is for. In all honesty, I (Michalis) do not expect this extension to be commonly used... It allows you to tweak an important, but internal, part of the engine. For most normal people, this extension will probably look like an uncomprehensible black magic. And that's Ok, as the internal defaults used in our engine really suit (almost?) all practical uses. If the above paragraph didn't scare you, and you want to know more about octrees in our engine: besides documentation chapter "octrees" you can also take a look at the (source code and docs) of the TCastleSceneCore.Spatial property. Limit -1 means to use the default value hard-coded in the program. Other values force the generation of octree with given limit. For educational purposes, you can make an experiment and try maxDepth = 0: this forces a one-leaf tree, effectively making octree searching work like a normal linear searching. You should see a dramatic loss of game speed on non-trivial models then. See the API documentation for classes TCastleSceneCore and TShape for precise description about what each octree is. In normal simulation of dynamic 3D scenes, we use only octreeRendering, octreeDynamicCollisions and Shape.octreeTriangles octrees. Ray-tracers usually use octreeVisibleTriangles. We will use scene octree properties from the first bound NavigationInfo node (see VRML/X3D specifications about the rules for bindable nodes). If this node is not KambiNavigationInfo, or appropriate octreeXxx field is NULL, or appropriate field within KambiOctreeProperties is -1, then the default hard-coded limit will be used. Currently, it's not perfectly specified what happens to octree limits when you bind other [Kambi]NavigationInfo nodes during the game. With current implementation, this will cause the limits to change, but they will be actually applied only when the octree will be rebuild — which may happen never, or only at some radical rebuild of VRML graph by other events. So if you have multiple [Kambi]NavigationInfo nodes in your world, I advice to specify in all of them exactly the same octreeXxx fields values. The default value, FALSE, means the standard VRML behavior. When TRUE the time origin for this VRML scene is considered to be 0.0 when browser loads the file. For example this means that you can easily specify desired startTime values for time-dependent nodes (like MovieTexture or TimeSensor) to start playing at load time, or a determined number of seconds after loading of the scene. Standard VRML way of specifying camera orientation (look direction and up vector) is to use orientation field that says how to rotate standard look direction vector (<0,0,-1>) and standard up vector (<0,1,0>). While I agree that this way of specifying camera orientation has some advantages (e.g. we don't have the problem with the uncertainty "Is look direction vector length meaningful ?") I think that this is very uncomfortable for humans. It's very difficult to write such orientation field by human, without some calculator. When you set up your camera, you're thinking about "In what direction it looks ?" and "Where is my head ? ", i.e. you're thinking about look and up vectors. Converting between orientation and look and up vectors is trivial for computers but quite hard for humans without a calculator (especially if real-world values are involved, that usually don't look like "nice numbers"). Which means that when I look at source code of your VRML camera node and I see your orientation field — well, I still have no idea how your camera is oriented. 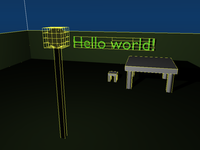 I have to fire up some calculating program, or one of programs that view VRML (like view3dscene). This is not some terrible disadvantage, but still it matters for me. orientation is written with respect to standard look (<0,0,-1>) and up (<0,1,0>) vectors. So if I want to imagine camera orientation in my head — I have to remember these standard vectors. 4th component of orientation is in radians, that are not nice for humans (when specified as floating point constants, like in VRMLs, as opposed to multiplies of π, like usually in mathematics). E.g. what's more obvious for you: "1.5707963268 radians" or "90 degrees" ? Again, these are equal for computer, but not readily equal for human (actually, "1.5707963268 radians" is not precisely equal to "90 degrees"). Also, VRML 2.0 spec says that the gravity upward vector should be taken as +Y vector transformed by whatever transformation is applied to Viewpoint node. This also causes similar problems, since e.g. to have gravity upward vector in +Z you have to apply rotation to your Viewpoint node. If at least one vector in direction field is specified, then this is taken as camera look vector. Analogous, if at least one vector in up field is specified, then this is taken as camera up vector. This means that if you specify some vectors for direction and up then the value of orientation field is ignored. direction and up fields should have either none or exactly one element. As usual, direction and up vectors can't be parallel and can't be zero. They don't have to be orthogonal — up vector will be always silently corrected to be orthogonal to direction. Lengths of these vectors are always ignored. As for gravity: VRML 2.0 spec says to take standard +Y vector and transform it by whatever transformation was applied to Viewpoint node. So we modify this to say take gravityUp vector and transform it by whatever transformation was applied to Viewpoint node. Since the default value for gravityUp vector is just +Y, so things work 100% conforming to VRML spec if you don't specify gravityUp field. In view3dscene "Print current camera node" command (key shortcut Ctrl+C) writes camera node in both versions — one that uses orientation field and transformations to get gravity upward vector, and one that uses direction and up and gravityUp fields.